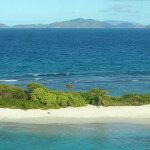 Take your kids on a real Caribbean pirate adventure. TALOFA is not really a pirate ship, but looks like one. She was actually build to haul treasure back from the Samoan Islands so she is a very spacious and a lovingly restored cargo sailing schooner with a lot of deck space. 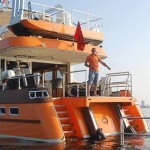 She has beautiful and comfortable accommodations above and below decks. We find TALOFA draws families to her, young and old and having youngsters on board is great. It reminds us of all the years our children were on sailboats and what fun they had…. 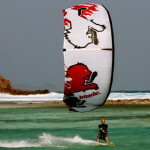 We arrange the many activities we feature on on-board. The Captain gives instruction for all of our boat toys: kayaking, snorkeling, stand-up paddle boarding, climbing in the rigging, sitting in the nets and everyone ends up a Pro! Captain Cactus and I take the time to keep everyone happy, active, and very well fed! The charter chef is the soul of the ship and I provide the nourishment so you can be active all day, with lots of fresh food. I prepare three meals each day along with snacks for the kids and Sunset Cocktails with hors d’oeuvres for you parents! If you are looking for something, unique, historic and special, Talofa is “the One and Only” ship of her kind and we are happy sharing the joy of sailing with our many appreciative passengers. 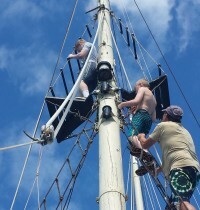 Those who wish to be involved in helping sail Talofa are rewarded with more self-confidence, fun and a better understanding of what it takes to sail a traditional Tall Ship. Yes we are the odd duckling in a sea of luxurious, modern catamarans and yachts, but TALOFA has class and character! Our guests enjoy our casual demeanor and family style dining. The week on board usually involves our guest’s reconnecting to their partners, their children and to their environment. We love being a part of this special experience and our guests say it shows! TALOFA means welcome and we do just that!!! Betsy & Cactus, who own and operates TALOFA have send us this great blog, telling about what they like to do when on charter with families. They will make your trip a real adventure! Most other yachts in the fleet are built within the last 20 years, so this beautiful wooden schooner from 1923 really stands out and offers something unique! 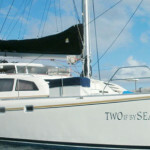 They can charter with up to 6 guests and you can click HERE for more information, rates etc.